This is the Sephardic classic and original 100% virgin lamb’s wool tallit katan. Tallit katan decorated with the Sephardic traditional white stripes across the full width. 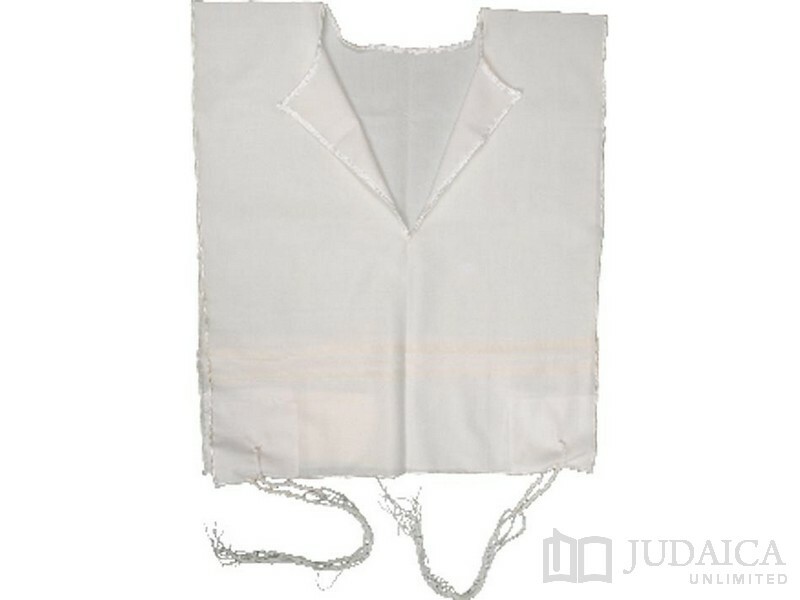 The tallit katan has the option of rounded of v-neck styles. Includes thin Avodas yad/handmade tzitzit strings tied and knotted, with the option of upgrades available.